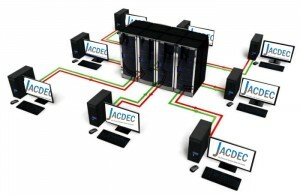 ‚ JACDEC ‚ – this abbreviation stands for Jet Airliner Crash Data Evaluation Centre. Jacdec has become a global source for professional and accurate aviation safety information for the benefit of companies, aviation professionals, journalists and individual air-travelers. We believe knowing is way better than believing. Since the beginning of the JACDEC project in 1989, we collect every possible information about accidents and aviation safety in general. Therefore we have established an extensive DATABASE, which incorporates thousands of entries of all kinds of safety occurrences since the beginning of commercial aviation. The database is our backbone and is held up-to-date every single day. Besides individual airline passengers, JACDEC also co-operates with different companies that take safety aspects seriously as part of their travel management strategy. JACDEC is proud to help all of our customers improving their knowledge of aviation safety topics. Learn more about our Airline Safety Reports, Country Reports, Airline Vetting, our Database and what JACDEC can do for you in terms of safety consulting to enable you to make better travel decisions. Get they key to all information about the airline of your choice. 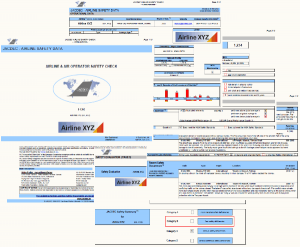 The AIRLINE SAFETY REPORT is a professional, comprehensive and up-to-date analysis of all relevant items to assess the current safety state of an air operator. This document is a valuable source of information for all individuals and companies who are interested in qualified safety knowledge. Country safety reports cover a set of airlines, based in the country you selected plus an overview of the general air safety and operational safety of airlines operating in and out of this country. Jacdec Database – the heart of our analysis: 20.000+ accidents and incidents, from 1905 up to the latest incident. With unmatched details and extensive research and analysis options. Get a quick analysis of airline safety – like a traffic-light. Ideal for travel agents and ticketing offices who need to book tickets for flights anywhere in the world and need a quick overview which airlines can or should not be booked. Flight safety consulting projects. Based on your needs, requirements. On Site or Remote. 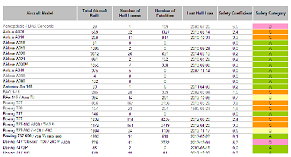 Analysis from our database plus research. 15 Years of flight safety know-how at your service.